Carey Menasco is sought by businesses throughout the U.S. for complex commercial litigation involving professional liability disputes, with an emphasis on legal malpractice defense and D&O liability, as well as involving bankruptcy and creditors’ rights, and other contract disputes between businesses. Carey handles cases both in state and federal courts. She recently secured summary judgment in Louisiana federal court dismissing Louisiana Oil Well Lien Act claims against a Texas operator on grounds of prescription. She obtained a $10 million summary judgment in favor of the Federal Deposit Insurance Corporation as Receiver for Omni National Bank in Atlanta, Georgia. In a three-day bench trial held in federal court, Carey represented a Pennsylvania steel manufacturer that had not been paid in full for its work on a Louisiana project. "It was a document-intensive case that required the admission of hundreds of exhibits and the testimony of several witnesses to fully tell the plaintiff’s story," Carey explained. "Admissions that I obtained on cross-examination of the primary defense witness were key to our victory. We recovered more than $500,000 for our client, which was a significant victory for our small business client." Carey defended an international law firm facing claims under the Racketeer Influenced and Corrupt Organizations Act (RICO), as well as claims for unfair trade practices, fraud, civil conspiracy, conversion and unjust enrichment. The plaintiff claimed that the law firm aided and abetted a client to file a false victim impact statement, resulting in the wrongful seizure and loss of plaintiff’s assets. We filed a motion to dismiss on the basis of improper venue, and convinced the Court that dismissal – rather than transfer – was the appropriate remedy. Because the plaintiff never re-filed the case, we secured victory for the client without ever having to file an answer in the case. With other firm attorneys, she secured dismissal of claims seeking damages in excess of $30 million against a major oil company on grounds that the claims had been discharged in a 1988 bankruptcy. Carey helped secure summary judgment dismissal of legal malpractice claims against a major New Orleans firm and its national legal malpractice carrier. Her bankruptcy and creditors rights work reaches beyond Louisiana, and she also represents lien holders and creditors committees in bankruptcy cases. 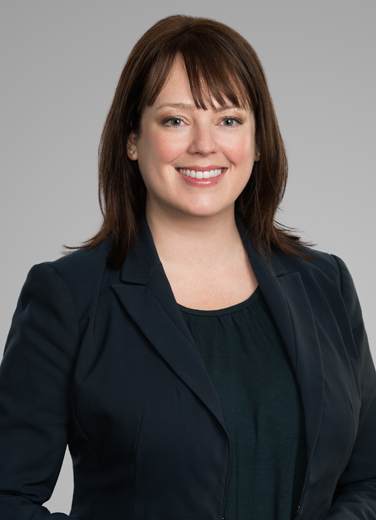 Clients appreciate Carey’s candor when, as defendant, she sees the potential for liability, or as plaintiff, she sees that recovery may be unlikely. “I like to make sure that my clients are not throwing good money after bad." Represented FDIC as receiver for a failed bank in a $170 million director and officer liability case in San Juan, Puerto Rico (2012-2015). Represented FDIC as receiver for a failed bank in a $30 million director and officer liability case in Atlanta, Georgia (2012-2016). Represented and obtained a favorable judgment for a Miller Act plaintiff against a contractor and its sureties in a federal district court bench trial, and obtained judgment affirming district court decision from the Fifth Circuit Court of Appeal. United States ex rel. Jems Fabrication, Inc. v. Benetech, LLC, 2013 U.S. Dist. LEXIS 108275 (E.D. La. Aug. 1, 2013), aff’d, 2014 U.S. App. LEXIS 8175 (5th Cir. La. Apr. 30, 2014).